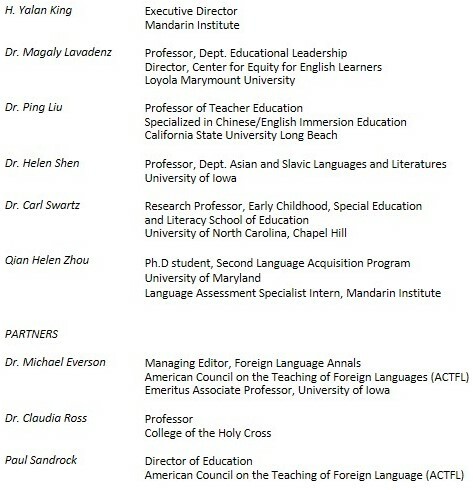 The principal goal of the Mandarin Institute-Loyola Marymount University (LMU) STARTALK Infrastructure Building the K-5 Word Frequency Dictionary for Assessing Early Literacy is to build the foundation for early Chinese reading instruction by creating lexiled vocabulary levels and assessments. Given the lack of assessments, measures and tools to support teachers in selecting grade-level reading materials and texts appropriate in a variety of Chinese immersion programs, the first baseline word frequency dictionary for K-5 Chinese L2 learners has been developed. These leveled lists along with an online searchable database tool can be used to determine text difficulty of a particular literature or informational reading materials/texts. Together, the word lists and searchable database can be used to support teachers in the design of literacy instruction that addresses their students’ reading levels. To make the K-5 WFD more useful to classroom instructors, the high frequency words were aligned with the vocabulary requirements of Common Core and Content Standards for each grade level. The word frequency dictionary will serve as a foundation to creating a formula for measuring text complexity, and thus readability for grade level texts. Phase II in 2016 involved validity and reliability testing, and the development of character and vocabulary recognition assessments using the K-5 Word Frequency Dictionary for L2 Chinese language learners. In 2017, Phase III resulted in the development of reading comprehension assessments for third to fifth grade. These are included below. A band includes a collection of words that occurred most frequently in the corpus of characters for a given grade level. This corpus of characters was an assembly of a variety of text across different subjects for Chinese immersion programs. Question: Do the number of words per band indicate the number of words that are the learning target at each grade level? Answer: No. The number of words per band do not reflect expectations of student learning at each grade level. However, they can be helpful to teachers as they plan instruction and design assessments. Question: How did you select which words go in each band level, and how many to include? Answer: These are the words that occurred frequently for that grade level in the corpus of characters assembled. For Band K, 300 words were found frequently in the corpus of characters for the kindergarten level. The development of this word frequency dictionary is a critical first step to establishing the Chinese Readability Scale. 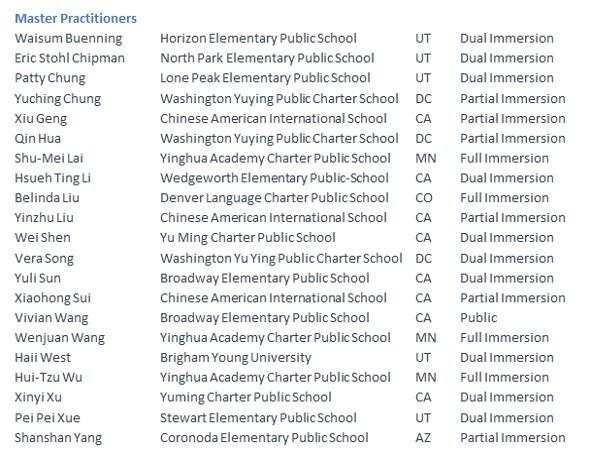 The K-5 Chinese Word Frequency Dictionary will serve as a baseline for K-5 immersion curriculum in the U.S. and abroad. 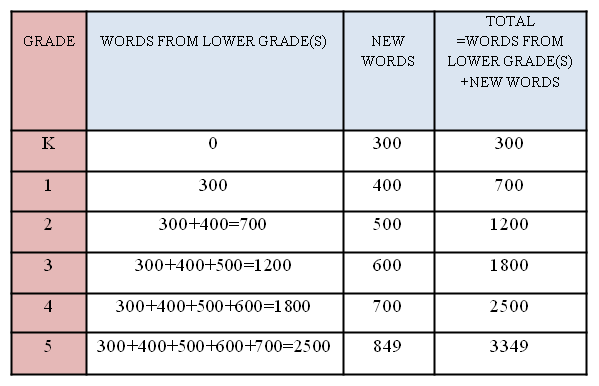 When using the list to determine the text difficulty for a particular grade level, it is recommened that 70% of the words in a text should fall into the range of the Word Frequency Dictionary band for a particular level. To use the searchable K-5 Word Frequency Dictionary, click on "Search", then in the "Quick search" field, enter the Chinese word(s) you want to search and press "Enter". The searchable WFD works best with the Internet Explorer browser. 0.0000016 refers to the frequency of the word. The bigger the number the higher the frequency. One of the challenges that Chinese language teachers face in teaching content vocabulary is that there are very few vocabulary assessments that can inform instruction and measure vocabulary growth because prior to our 2015 Infrastructure grant, high frequency words for Chinese L2 learners were not readily defined nor was there a clear way to identify Tier 1, 2 and 3 vocabulary and thus there are no assessments that directly tie to them. For our 2016 Infrastructure grant we developed a collection of contextualized character and vocabulary recognition assessments and one reading assessment by grade that can more accurately track students’ vocabulary growth across the curriculum aligned to the WFD, ACTFL and content standards and prove reliability of the K-5 Word Frequency Dictionary.